Though the plan to blow up the Empire State Building with The Master in it ultimately failed, Eph and his crew were at least able to leave their sanctuary before The Master and his feelers were able to find them. They might not have gotten to detonate the nuke and free the world from the clutches of the strigoi, but assuming they get through the hoard sent by The Master, they live to fight another day. Now the focus must be on quickly regrouping and coming up with a last ditch push to defeat the forces of evil and score a much-needed win for humanity. But with The Master on the move, how can our heroes pull this Hail Mary out? 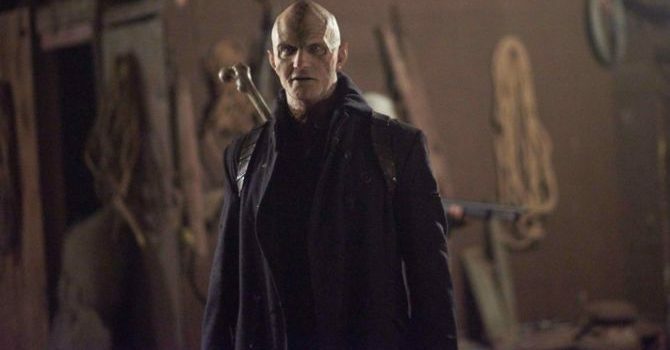 On the series finale of The Strain, Quinlan comes up with a desperate plan to end this war once and for all. However, things have gotten to such a point that a win cannot come without major losses to the team. With the original plan of nuking the Empire State Building, there were going to be inherent losses considering the magnitude of the blast and Quinlan’s death wish; now, though, with The Master as something of a moving target, there’s a risk of even bigger losses, both because the blast will have to be set higher and because there might need to be someone driving the van when it explodes. For as much as the team has been through to get to this point, coming up short now is simply unacceptable, but who would be willing to sacrifice themselves in the name of the greater good? Elsewhere on The Strain, Eph wrestles with his conscience when it comes to using the nuke, while Fet undertakes a suicide mission to rid the world of munchers once and for all and both Gus and Dutch dig their heels into this last chance to take down The Master. The series finale of The Strain airs Sunday at 10:00 on FX. Can Eph and his crew save the world from the strigoi? How many of them will make it out of this last battle alive? What type of sacrifices will they have to make to ensure The Master’s destruction?